Poured from a 25.4 oz bottle into my Spiegelau IPA glass. The body is honey-orange in color, with mostly clear visibility. 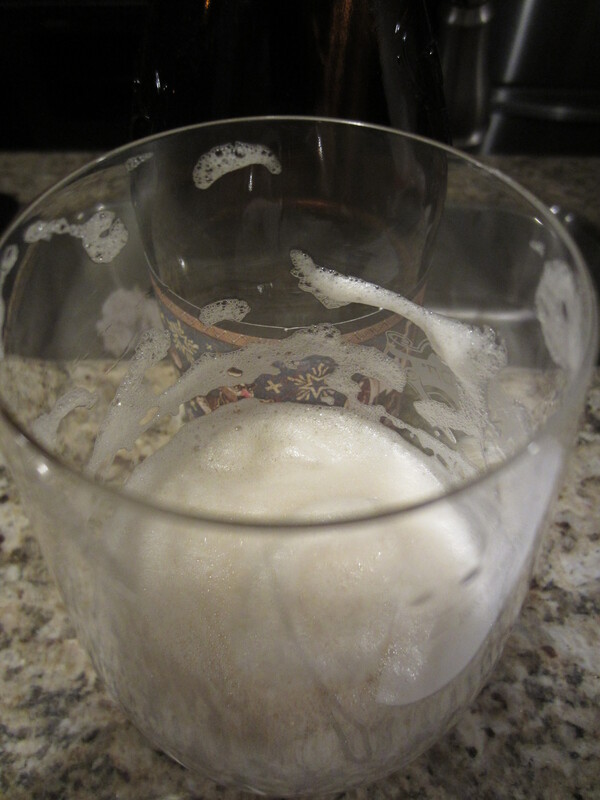 An large orange hued off-white head is poured, which has great retention and leaves heavy lacing throughout. 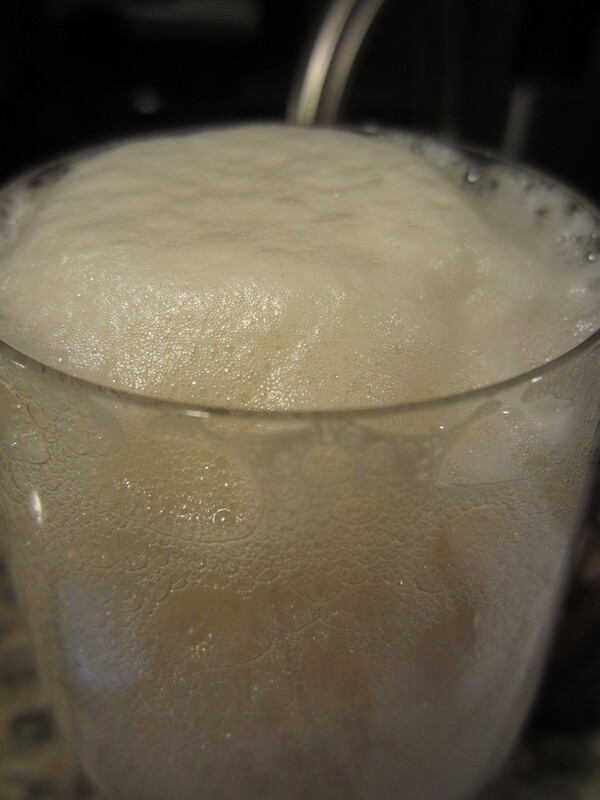 A huge amounts of carbonation is visible climbing up through the beer. 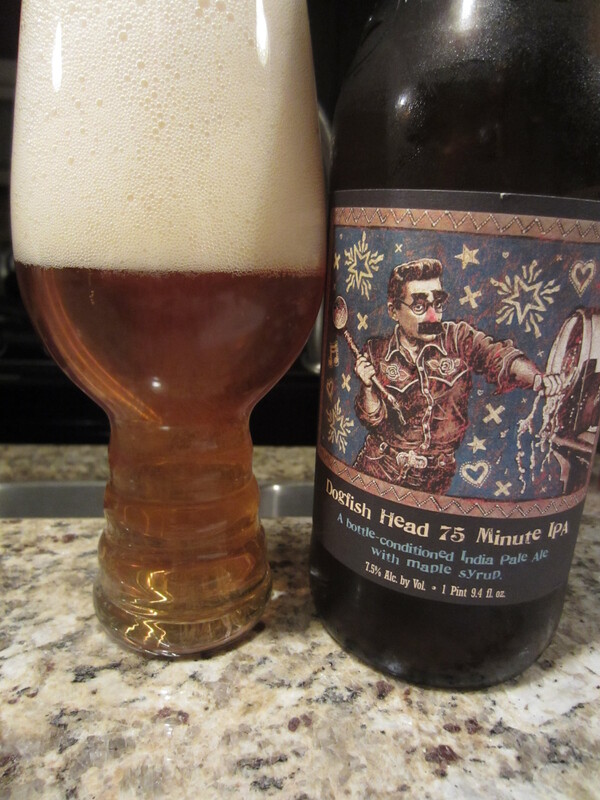 While it does offer the expected burst of aromatic hops I’ve come to expect from Dogfish Head’s IPA series, a pronounced sweetness really takes center stage in the nose. Sweet, caramel malt character comes through and mixes with the faint hint of maple sweetness from the bottling conditioning techniques used in 75 Minute IPA. The hop scents include orange zest, grapefruit notes, and some pine dank. 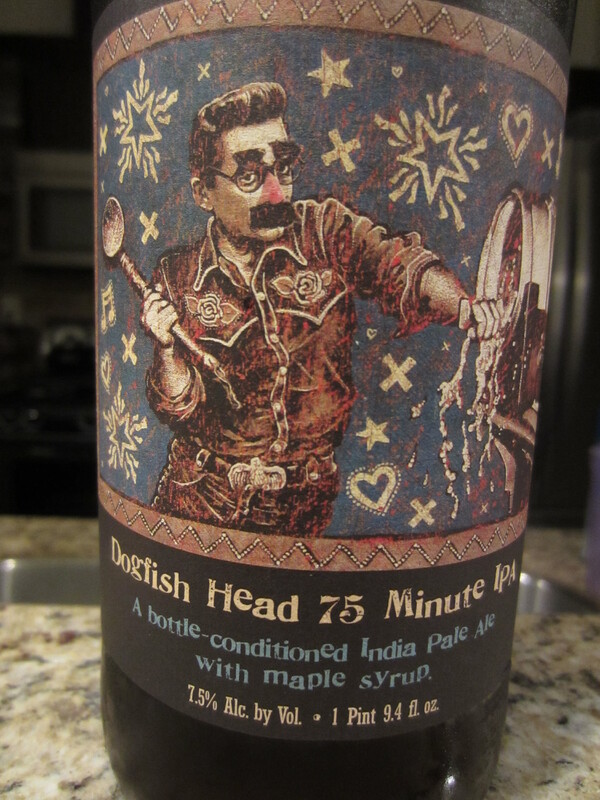 75 Minute has a medium thickness in the body, with a harsh mouthfeel from tons of carbonation – it’s almost as if too much maple syrup was put in to carbonate it naturally, though it’s not quite at bottle bomb levels. The flavors are sweet, both from the citrus and caramel malts. Hop bitterness isn’t all that prominent, much less than expected from the aromas. 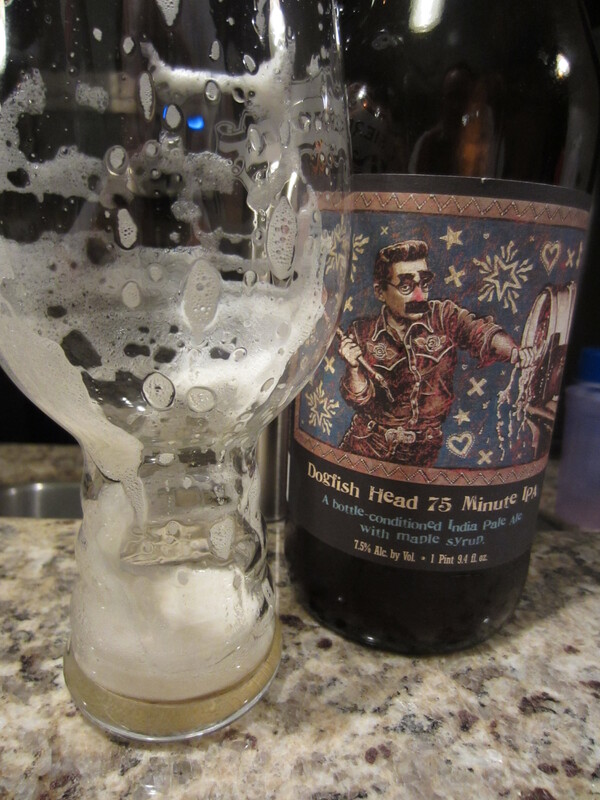 After finishing, malt sweetness (maybe a bit overly sweet for the style) lingers on the palate.